I finished another book! I’m doing better on reading since the 48 Hour Book Challenge. 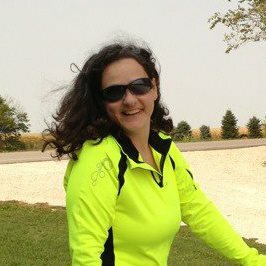 I suppose I should make a goal – how about I read thirty more books this summer – in nine weeks? That’d be something! To get started . . . 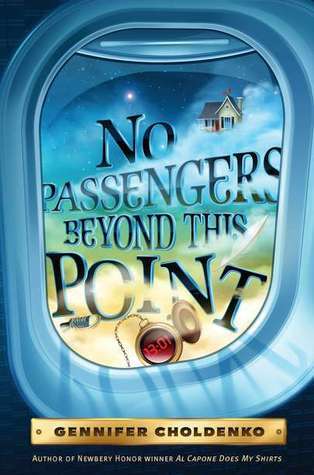 I just finished Gennifer Choldenko’s No Passengers Beyond this Point. On opening day, we went to see the new movie, Abraham Lincoln, Vampire Hunter. It’s definitely our family’s most anticipated movie of the summer. Pretty much my whole family has read this book, a historical fiction mash-up. (I’m currently re-reading it.) The book is actually very historically accurate – I mean, if you take out the whole vampire angle. But for instance, I never knew that Stephen Douglas had wooed Mary Todd, and that really is an important backstory to the Lincoln-Douglas debates. There are a lot of other instances like that in the book that shows Seth Grahame-Smith, the author, had really done his homework. The book is written in a literary nonfiction style, where friendly vampire Henry gives Lincoln’s journals to a modern-day struggling author, and this book is his work. It’s understandable that all of that made the cutting room floor for the movie, though (the screenplay was also written by Grahame-Smith). Because the screenplay was written by the author, it’s disappointing to those of us who loved the book that the movie is so different. I mean, I read reviews that complain about the ridiculous premise of the movie and I want to say, “Did you even read the book?” The premise is silly on its face, sure, but the book really brings you in and makes you a believer. But as someone who loved the book, I, too, am disappointed. 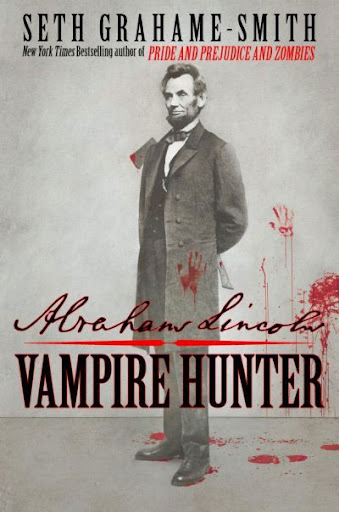 It’s like Grahame-Smith took the very basic outline of his book – 19th century America was overrun by vampires, and Abraham Lincoln was determined to stop them – and wrote a completely different story. Abe had already begun to walk away. How could you not write the entire movie around that perfect scene? After I got over the disappointment at the movie being completely different than the book, I was able to enjoy the movie. A bit gory – I don’t usually watch rated R movies – but it was enjoyable and I liked the plot twists. 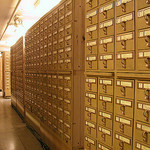 And really – when is a movie better than (or even as good as) the book? I’m done with the 48 Hour Book Challenge, of course, but I’m determined to keep reading children’s books continually, and to blog about them here. 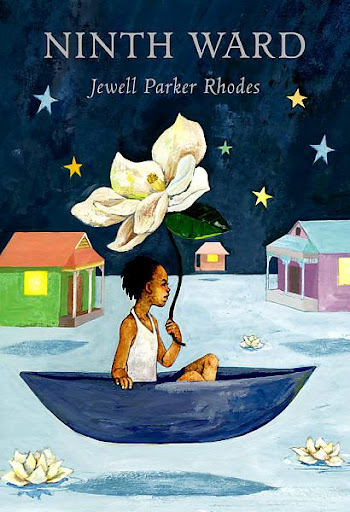 I finished Ninth Ward by Jewell Parker Rhodes. It’s on a list for volunteers to read for the Iowa Children’s Choice Award ballot for next year, so I had picked it up from the city library, and my 13-year-old daughter read it first. I asked her what she thought and she really liked it, but said it was “haunting.” I knew it must be about New Orleans during Hurricane Katrina, so I knew it was likely sad, so I thought that was an interesting way to put it. 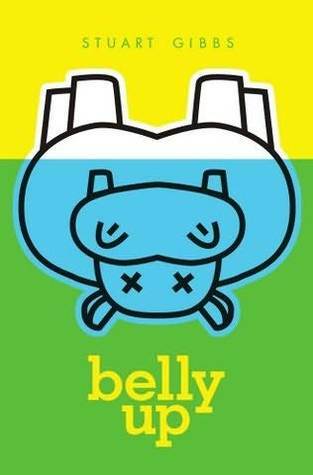 It certainly was sad, but this is children’s literature, so it isn’t too sad. And if you’ve read the book, you know she was teasing me with the word haunting! I thought the author did a great job of bringing in suspense into a subject that we know how it ends. When a family heads to the Superdome, I thought, “Oh no! Not there!” But thankfully, those aren’t the characters that the story follows. I don’t think what happened there could be written about in a children’s book. I’m not sure how I’ll vote on this for the ICCA list. It’s an important book, definitely. In a few years, maybe children will doubt that the travesties after Katrina really happened. But I guess to dispel that, we do need a book about what happened at the Superdome. Actually – I’m not done with it yet. But I wanted to finish blogging about the book challenge. It’s been my busiest weekend yet this year (play, reunion, buying a car) and so I can say that I read 7.5 books for the challenge, and read for 13.5 hours in the 48 hour period. I didn’t do all I needed to in order to win the challenge (I don’t even know what the prize was), but that’s okay. I think I should do this sort of challenge with my students over a weekend. I know it makes me a better librarian to read children’s books – how can you do quality reader’s advisory if you aren’t reading the books you are recommending? But without some push like this, it’s easy for these books to stay on my to-do list and never get done. I had picked it up at the Scholastic Book Fair, but set it aside because I wasn’t sure if it should be at the elementary or junior/senior high. Definitely the latter! I think older elementary would appreciate it, but there’s just some lines in the author’s note (“There are different versions, but they all start with a mother who sends her daughter into the woods, where there is not only a wolf, but a talking, cross-dressing wolf.”) that although not inappropriate, are just not really intended for third graders. I think the junior high girls would really like it though. The stories are funny, and actually, with the author’s note about what makes a good story (memorable characters, vivid setting, exciting plot, and important themes) and how these are lacking in the original tale of Little Red Riding Hood, I think this would be an excellent book for a high school writing class. I’m going to suggest it to the high school English teachers. So with that, I’m up to 9.5 hours in the #48hbc! 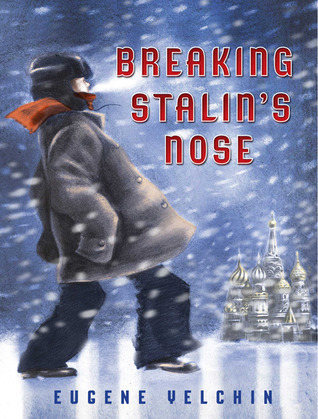 I just finished the Newbery Honor book, Breaking Stalin’s Nose by Eugene Yelchin. I try to keep up with new books and was surprised as anyone when this was given a Newbery Honor as I’d never heard of it. But I will certainly give the committee a tip o’ the hat – this was a great book. A quick read, and one that could be an excellent book for even junior high social studies classes. I’m giving it to my Russian-speaking daughter. And, it took me 55 minutes to read – so now I’m at an even 8 hours read for #48hbc. 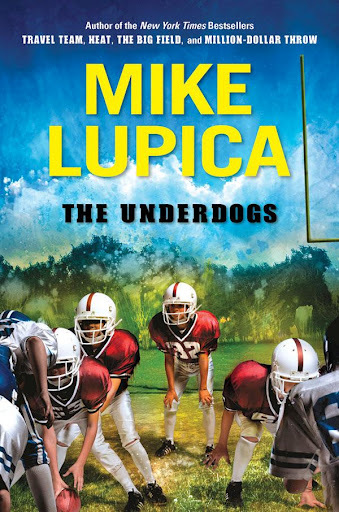 An hour ago, I finished the book, The Underdogs by Mike Lupica. I’ve read one Lupica book before, Hero. But it was pretty different than his other work (or so I hear) and this is your typical sports book that he usually writes. If all his books are like this, though, I should read more. It was an exciting story that ended just like you wanted it to. I might get it for the junior/senior high library too, because i know some 7th graders who would really like this. So that puts me at 7 hours, 5 minutes for #48hbc, the 48 hour reading challenge. I started at 2 yesterday afternoon so that’s really bad! I have a show to go to tonight plus church in the morning, so I’ll need to read all afternoon and then some after we get back, and a good six hours tomorrow. That will put me at 20 hours total . . . far short of what I was hoping, but certainly not a bad amount for my first try at this. But really, this is doing me a lot of good for giving quality reader’s advisory. 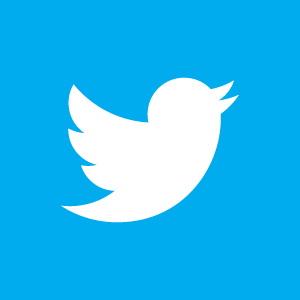 I should do this more often!